Bangladesh University of Engineering and Technology is the leading public engineering university of Bangladesh. It can be located in Dhaka, Bangladesh. The nickname of this university is BUET. Its worldwide excellence rank is 1844. Saiful Islam is the vice-chancellor of this university by now at 2016. And, read the article below for more details. Here, we are going to tell you about its departments, faculties, and admission procedures. Bangladesh University of Engineering and Technology was founded in 1876. It was established in 1876 as Dhaka Survey School. After that, in 1912 it named as Ahsanullah School of Engineering. 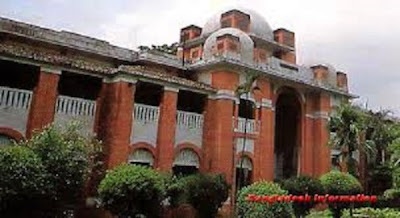 And, in 1947 it became the Faculty of Engineering under University of Dhaka. And in 1962 it named as EPUET. After the liberation war in 1971, it renamed as BUET. This university is a public engineering university. It has an important place in Bangladesh. The students of this university are regarded as the most intelligence students in Bangladesh. Now, the total number of the students of this university is 10,066. Among them, 8013 are male students and 1800 are female students. The number of undergraduate students is 5169 and postgraduate students are 4274. And, 437 are the number of Doctoral students of BUET. The Bangladesh University of Engineering and Technology has total 543 teachers, 652 academic staffs, and 1450 administrative staffs. It has a big campus area which is 76.85 acres. Bangladesh University of Engineering and Technology is the foremost important and leading engineering university in Bangladesh. It has 18 departments under 5 faculties. And, those faculties and departments are given below. • Department of Urban and Regional Planning. • Department of Water Resources Engineering. • Department of Civil Engineering. • Department of Computer Science and Engineering. • Department of Electrical and Electronic Engineering. • Department of Biomedical Engineering. • Department of Mechanical Engineering. • Department of Industrial and Production Engineering. • Department of Naval Architecture and Marine Engineering. • Department of Materials and Metallurgical Engineering. • Department of Chemical Engineering. • Department of Petroleum and Mineral Resources Engineering. • Department of Glass and Ceramic Engineering. Bangladesh University of Engineering and Technology has many unique and best facilities for the students and teachers. It has a large campus, Mosque, a hostel for students. BUET has great hostel facility and has many seats for the students. It has total 2482 hostel seats for male students and 380 seats for female students. Besides, it has a cafeteria and a big library. Its library has 20,000 square feet of building area. The library contains thousands of books, many journals, periodicals, magazines. Bangladesh University of Engineering and Technology admission process is here. The students, who are interested in admitting here, must have minimum 3.50 GPA out of 5.00. Then, they can apply for admission test. And, after passing the admission test they can admit in BUET. In every year, total 1030 students get the chance to admit here. Among the total applicants of BUET, only 10% are admitted here for engineering studies. Conclusively, it is needless to say that this university is a role model for this country. And, read updates on our website about Bangladesh University of Engineering and Technology.